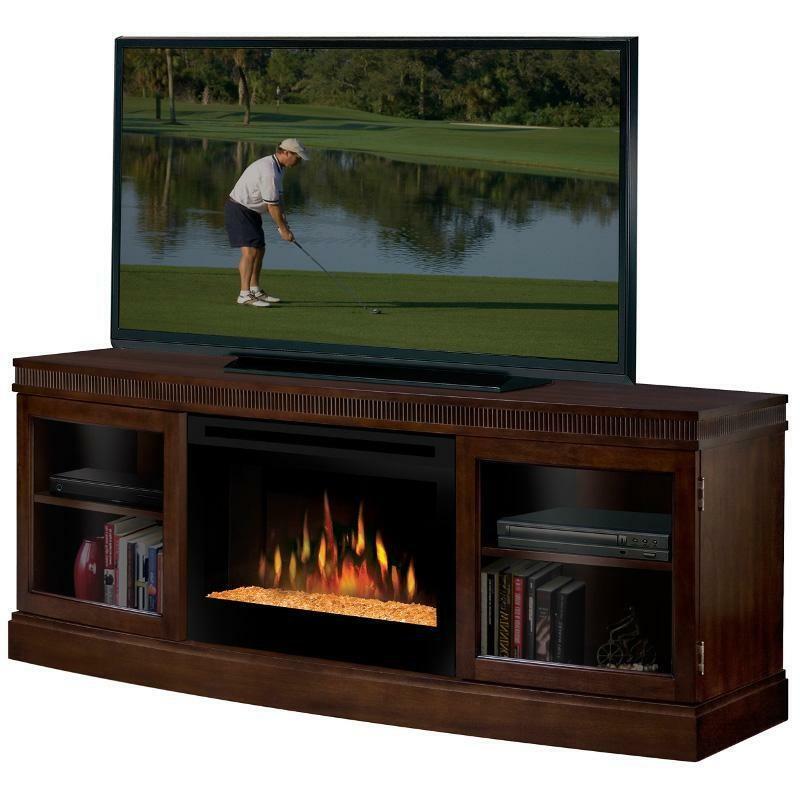 The Dimplex Wickford media console features generous storage compartments protected by smoked glass doors that offer the perfect solution for electronics and media. 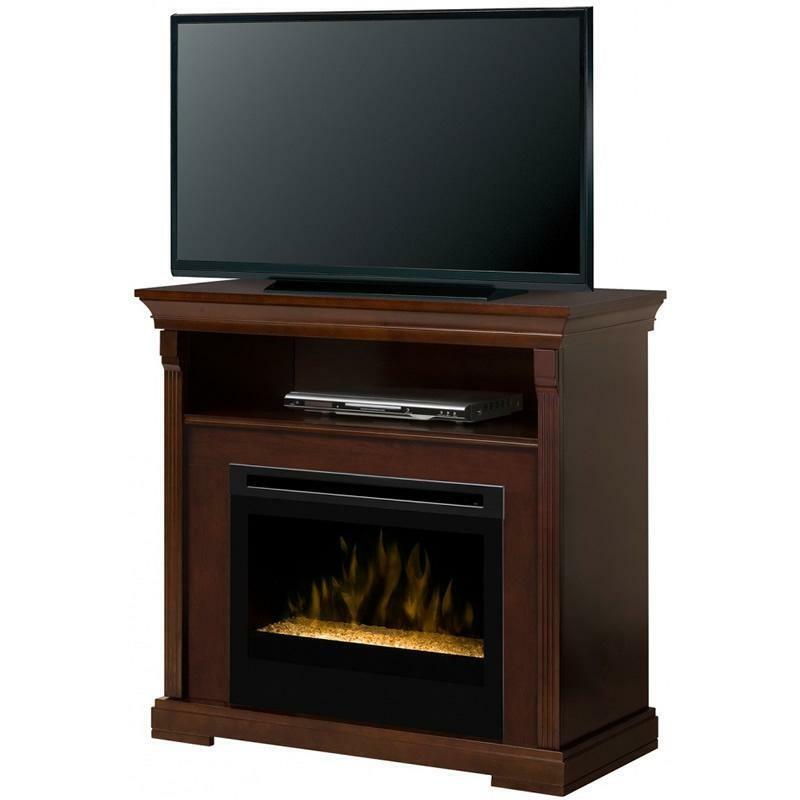 The rich burnished walnut finish and dentil molding give the unit a classic aura while the convincing flames add warmth and intrigue. 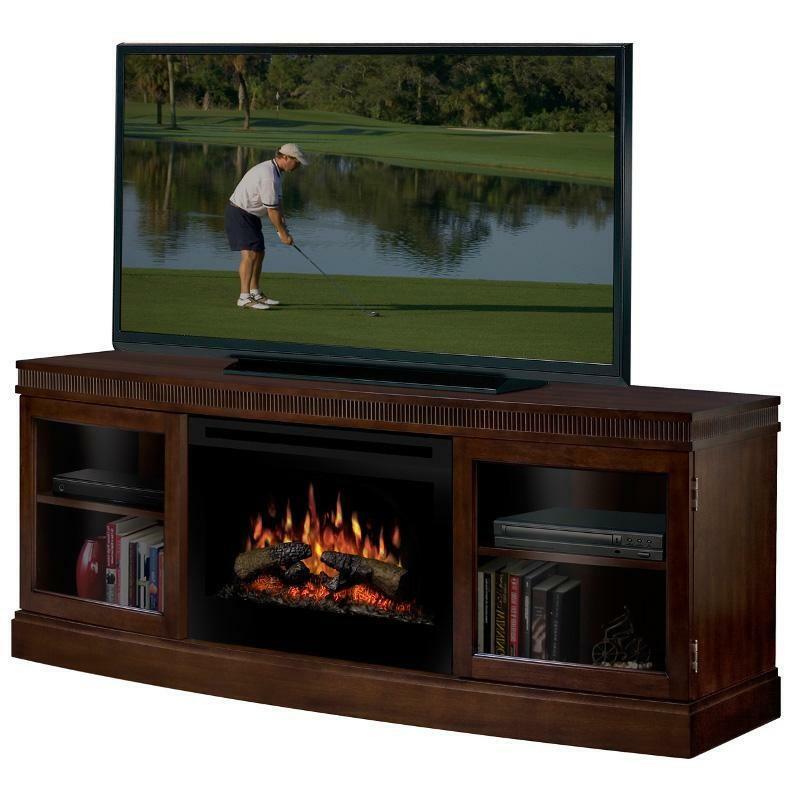 Includes ample storage space for electronics and media components. Additional Information Firebox: Log set.